Ashori, Z., Moalemi, M., Khodadadi, A., Torabinia, M. (2014). Climatic Zonation Planting Sunflower Cultivation in Kurdistan Province. International Journal of Advanced Biological and Biomedical Research, 2(Issue 4 (2)), 243-247. Zeinab Ashori; Mona Moalemi; Afsoon Khodadadi; Marzeah Torabinia. "Climatic Zonation Planting Sunflower Cultivation in Kurdistan Province". 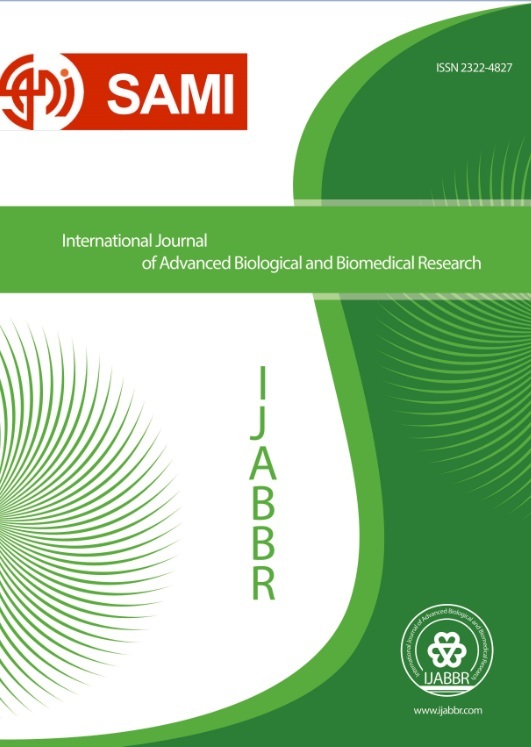 International Journal of Advanced Biological and Biomedical Research, 2, Issue 4 (2), 2014, 243-247. Ashori, Z., Moalemi, M., Khodadadi, A., Torabinia, M. (2014). 'Climatic Zonation Planting Sunflower Cultivation in Kurdistan Province', International Journal of Advanced Biological and Biomedical Research, 2(Issue 4 (2)), pp. 243-247. Ashori, Z., Moalemi, M., Khodadadi, A., Torabinia, M. Climatic Zonation Planting Sunflower Cultivation in Kurdistan Province. International Journal of Advanced Biological and Biomedical Research, 2014; 2(Issue 4 (2)): 243-247. In the current investigation, evaporation and transpiration potential were also estimated by means of FAO Penman- Monteith evapotranspiration estimation method and Deviation from Optimum Percentage (DOP) technique by climatic elements (min-max temperature, relative humidity, wind speed and radiation) during at least 10 years statistical period regarding sunflower phenological conditions in Kurdistan Province. The results of this study indicate that the optimal date for cultivation of autumnal Canola in high and cold- weather lands (Saghez and Baneh West) is the end of October. This point is important in terms of date of cultivation and production of commercial product. According to the acquired farming calendar, end of October is the most appropriate time for autumnal cultivation in this area and thus date of harvest will be the end of August.